You’d be hard-pressed to convince us of the rock n’ roll lifestyle of Louis L’Amour. But the western storyteller is exactly the source of inspiration for the latest collection from Jamestown Revival. In fact, the American rock duo’s straight-up titled their new album after L’Amour’s 1990 memoir. It’s called “Education of a Wandering Man,” and childhood friends Zach Chance and Jonathan Clay have been raving about it at for at least a year and a half. The Texas band draws upon that inspiration for Education, their follow-up to 2014’s Utah. We’ll be featuring one of the album’s first singles all day tomorrow as part of our regular “New Tracks on the Trail” feature. For a full album review, check out this critique from popmatters.com. -Lettuce: New work from the California funk revivalist’s Mt. Crushmore EP. Released last Friday, the new EP features a blend of new songs and B-Sides from last year’s Crush sessions. -Neil Young: A new single off the classic rocker’s 38th studio album, Peace Trail, due Dec. 9th. 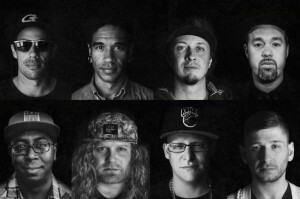 Young has spent the last several years touring with Promise of the Real – including a stopover in Missoula in October 2015 – but stripped down his outfit to just a trio of musicians for this primarily acoustic work. Young celebrated his 71st birthday over the weekend with a surprise performance at the Standing Rock Dakota Access Pipeline protest site. The new album will include, “Indian Givers,” a song written specifically for that protest. -Southern Culture On the Skids: Another track off the North Carolina band’s Electric Pinecones. Named after the SCOTS’s “alter-ego”, Pinecones is an “excuse to indulge our musical crush on everything from the Seeds and the Byrds to Buck Owens and Ricky Nelson,” explained guitarist Rick Miller on the band’s website in August. Hamilton Leithauser + Rostam: New material from the collab’s debut album, I Had a Dream You Were Mine. Formerly lead singer for the American rock bands The Recoys and then The Walkmen, Leithauser has hooked up with Rostam Batmanglij (of Vampire Weekend fame) for this new project. They released their first single, “A 1000 Times,” in July. There ya have it! Another Tuesday, another round of New Tracks on the Trail. Thanks for listening, and if you like what you hear be sure to go pick up a copy at Rockin’ Rudy’s today!